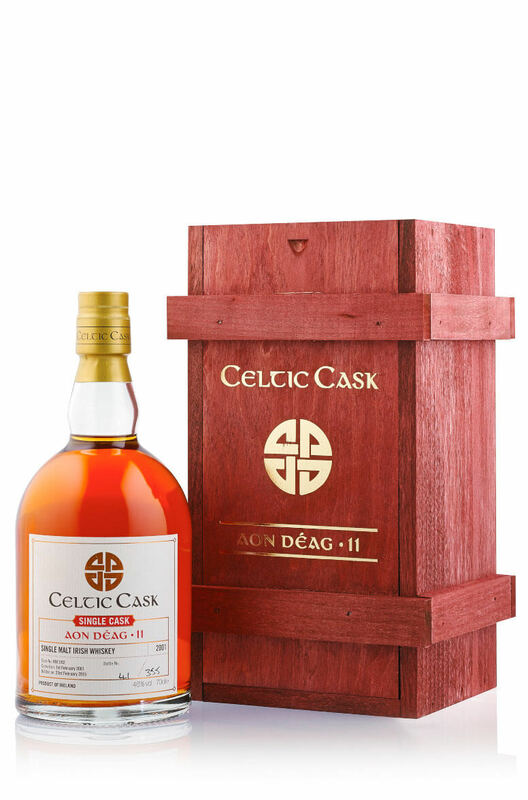 Another great addition to our Celtic Cask range. This is a double distilled single malt that was initially matured in an ex-Bourbon cask and then finished for around another three years in an Anima Negra red wine cask. Nose Very fruity with orange peel, marmalade, cola, spice, raisin and mace. Palate Sweet and fruity, well balanced with flavours of sweet orange, Christmas cake and milk chocolate. Finish Sweet and fruity with a lovely spiciness. Great at full strength. Distillery Undisclosed. A double distilled single malt from a distillery in the Republic of Ireland. Types of Barrel used for Aging Initially matured in ex-Bourbon barrels before a finishing of around 3 years in an Anima Negra red wine cask from Mallorca.